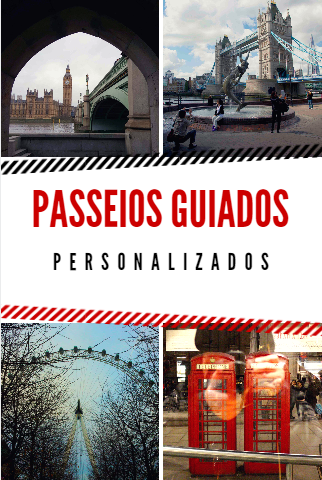 This itinerary can be a continuation of the Itinerary 1, in case you do not have much time in town. But if you prefer to do it in different days, take the underground to Westminster station (Jubilee, District and Circle lines). 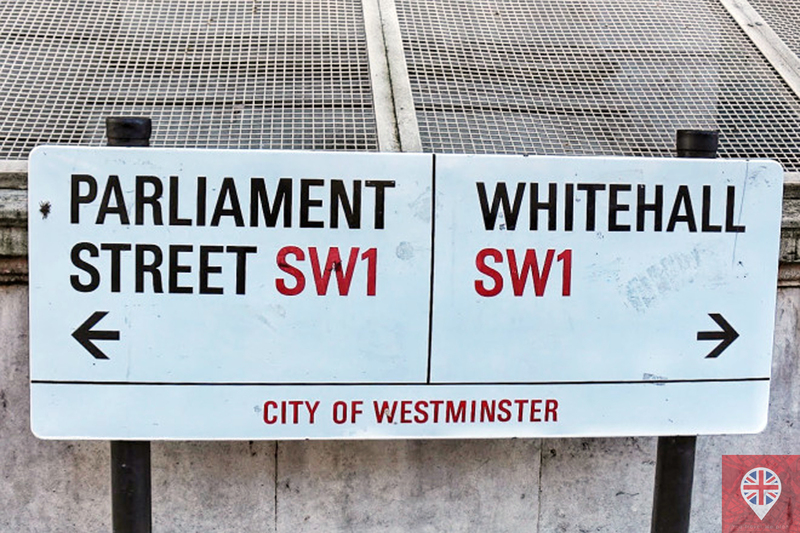 Explore the Parliament Square and visit the Westminster Abbey. 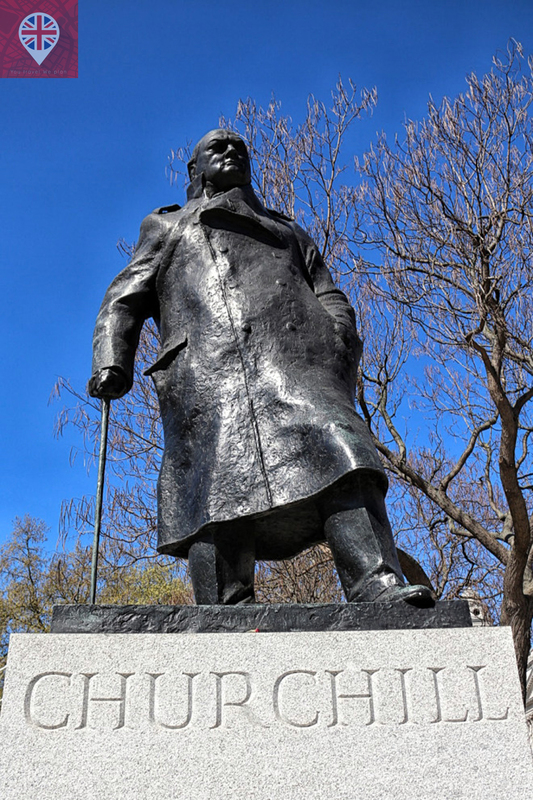 Then you can go to the Churchill War Rooms, the WWII bunker and museum that tells the story of Winston Churchill’s life and legacy. 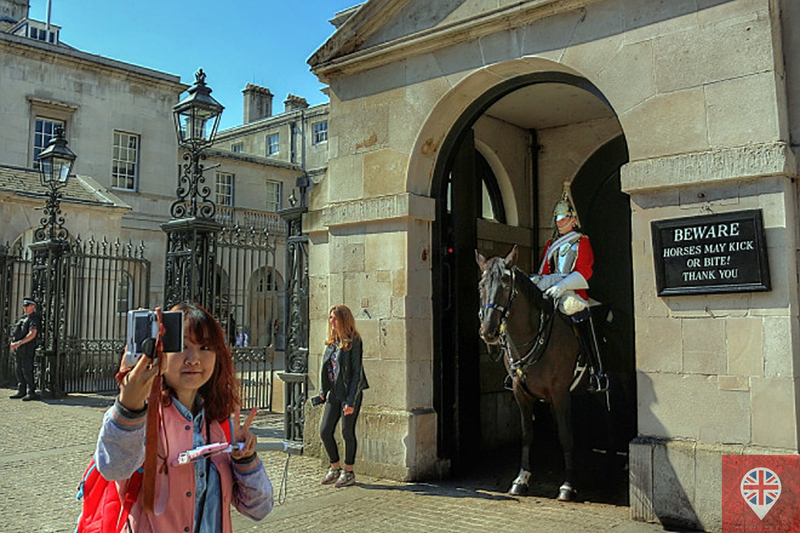 Head to Trafalgar Square via Whitehall, passing by Downing Street and the Horse Guards Parade, where you can take that famous picture with the mounted trooper and visit the Household Cavalry Museum. 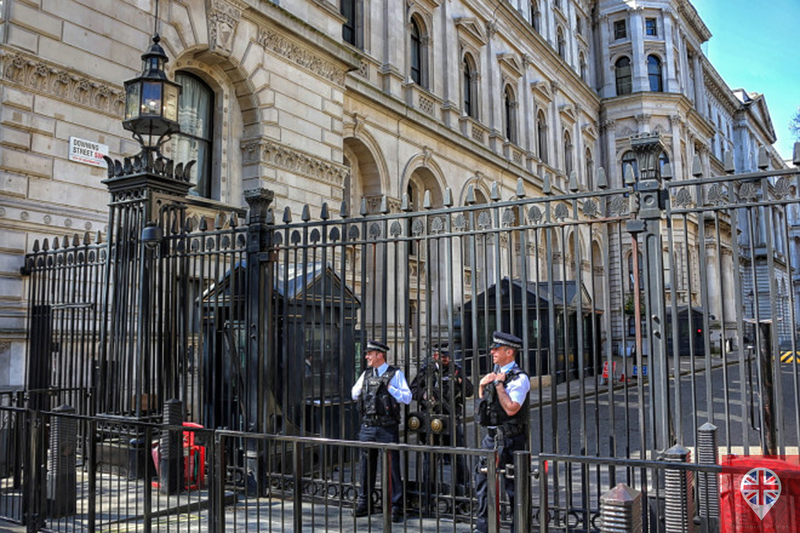 10 de Downing Street is a famous address! It is the official residence of the British Prime Minister and also his office. It is heavily guarded by the police and one of the few places you can see a policeman carrying a gun! The gates opened for a car to pass so we could get a better pick of the street! 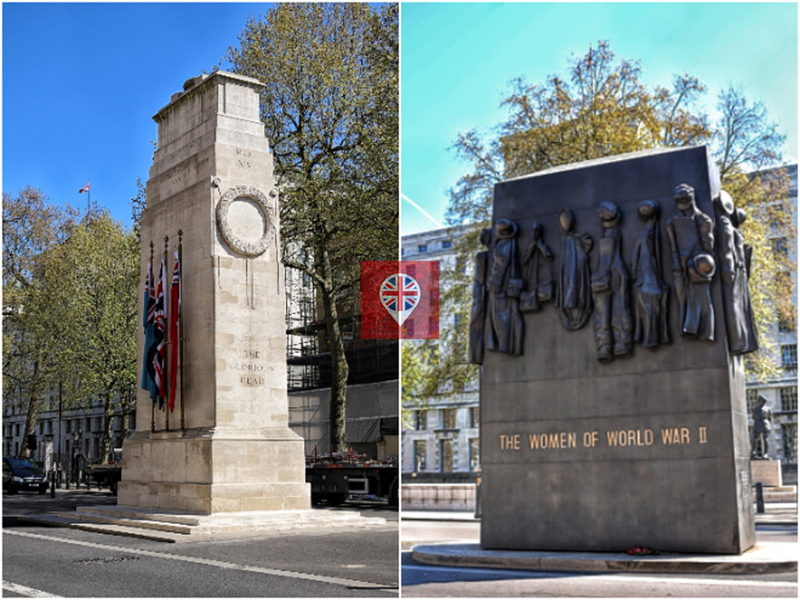 In the middle of the road you can spot a couple of monuments commemorating the two world wars! 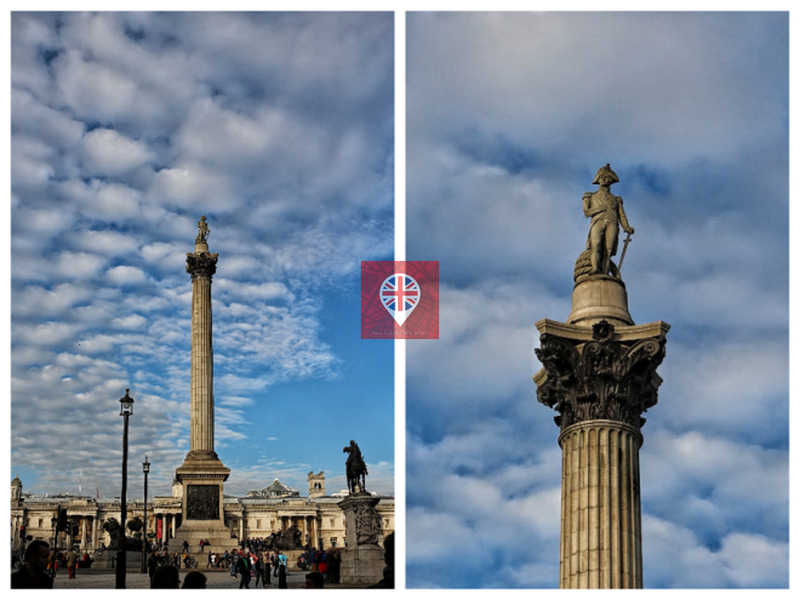 From here you can already see the statue of Admiral Nelson, who defeated the combined fleets of the French and Spanish Navies on the Battle of Trafalgar, in 1805. He was shot and killed during the battle, but became a hero. 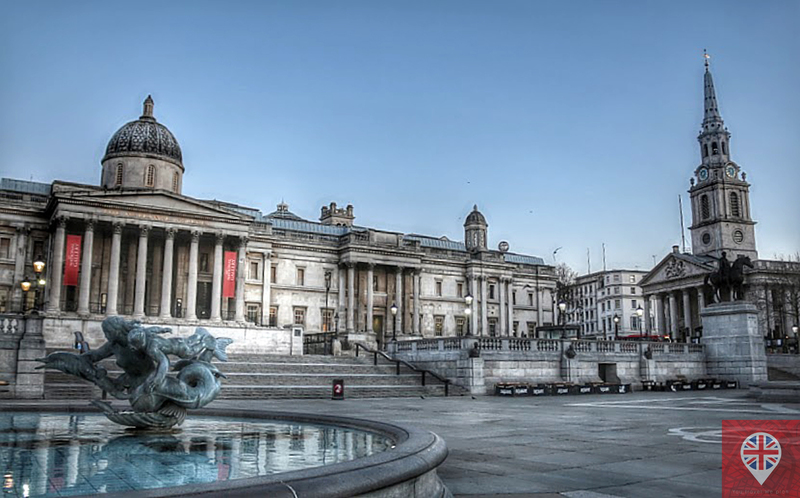 At Trafalgar Square you can see the famous lions, the smallest police station in the world and the National Gallery, which is worth a visit. Around the corner there is the National Portrait Gallery, if you like photography! 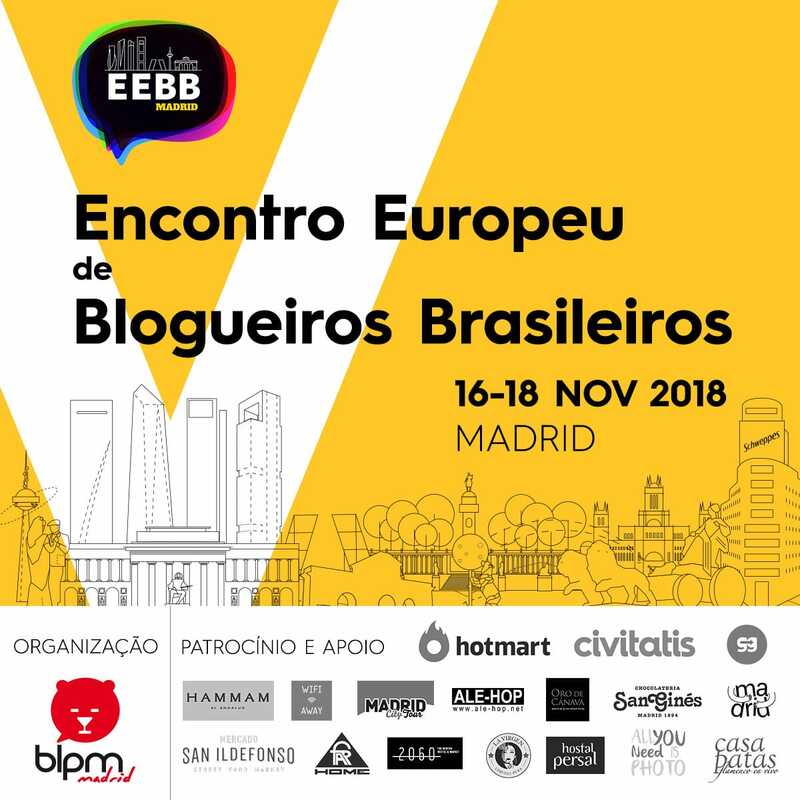 The entrance for the two galleries is free, but there are some paid exhibitions (click on the links to check what’s on). You can also visit St Martin in the Fields and have a coffee in the crypt. There are also classical music performances and prayers throughout the day. 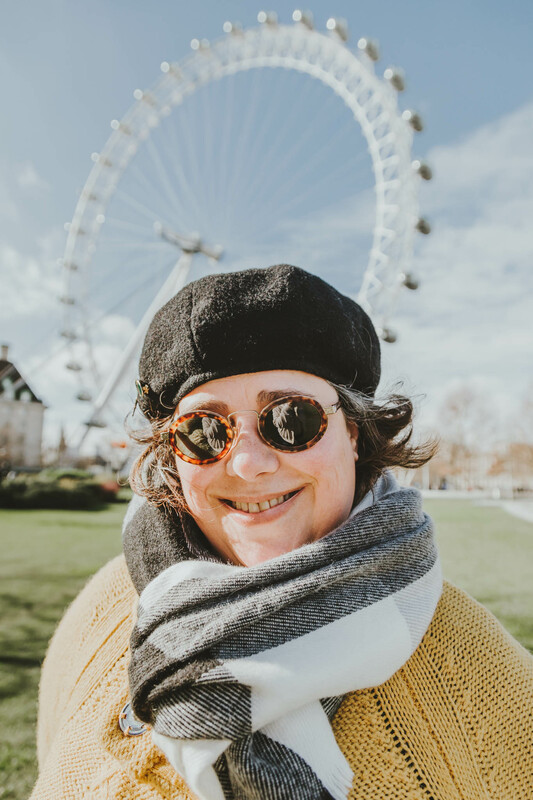 There is always something happening in Trafalgar Square, from celebrations to demonstrations, so it is wise to check before you go. 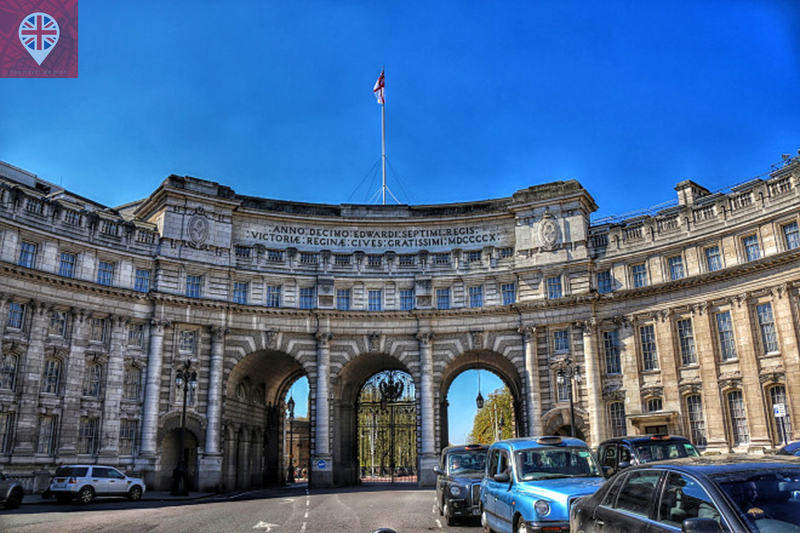 The Admiralty Arch was commissioned by King Edward VII in memory of his mother Queen Victoria. 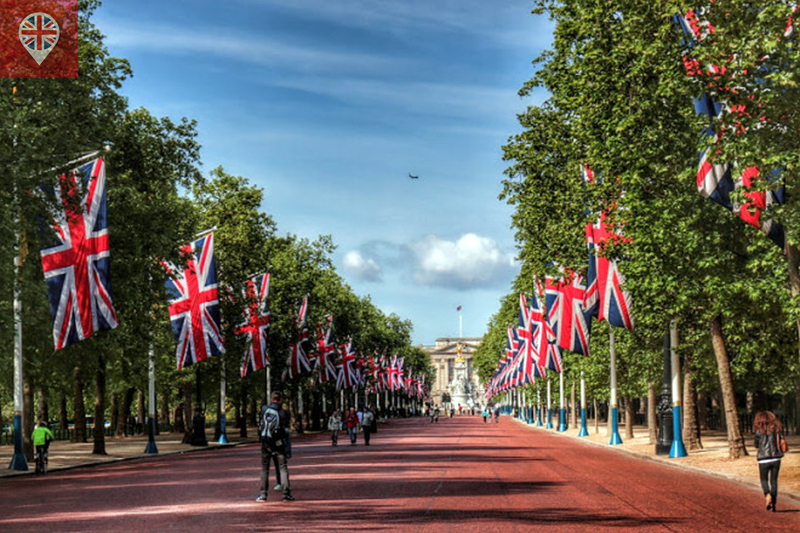 Going around the square you get to the Admiralty Arch and The Mall, a ceremonial route that ends at Buckingham Palace. The Mall is closed to traffic on Sundays. 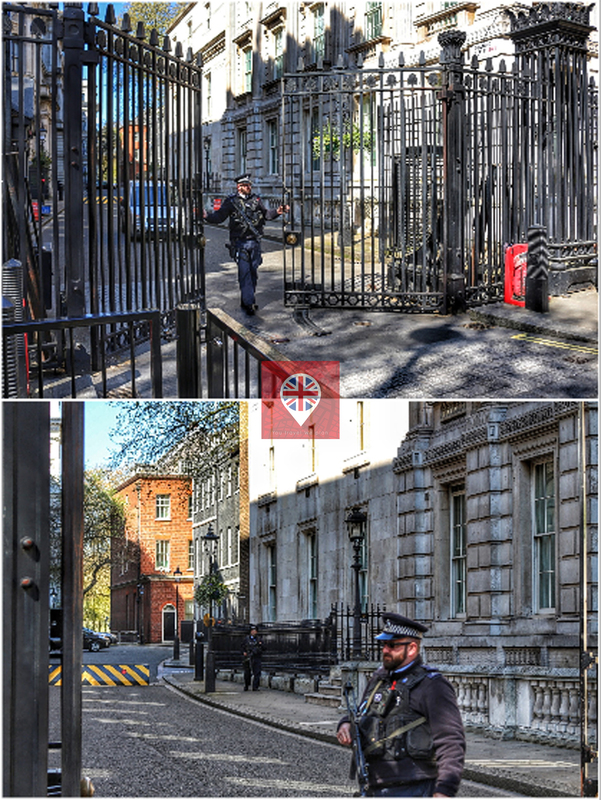 The Changing of the Guard starts at 11AM (check the dates by clicking here). You have to arrive early to get a good spot, so you might consider doing this route starting from here and ending at Big Ben. 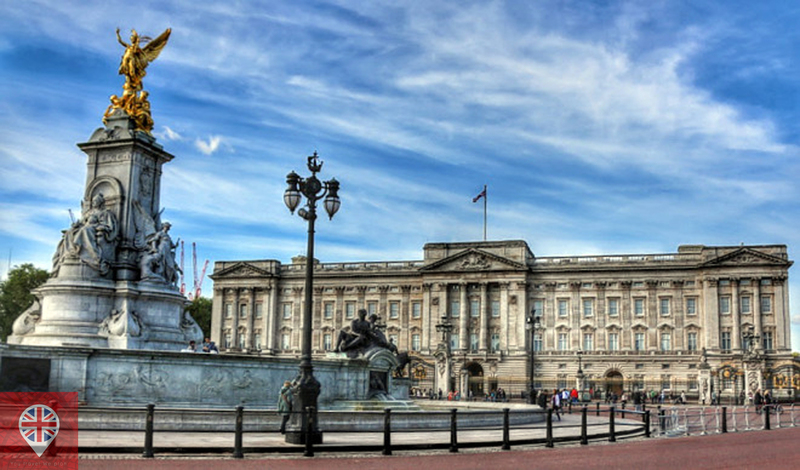 Buckingham Palace only opens for visitors during the summer. 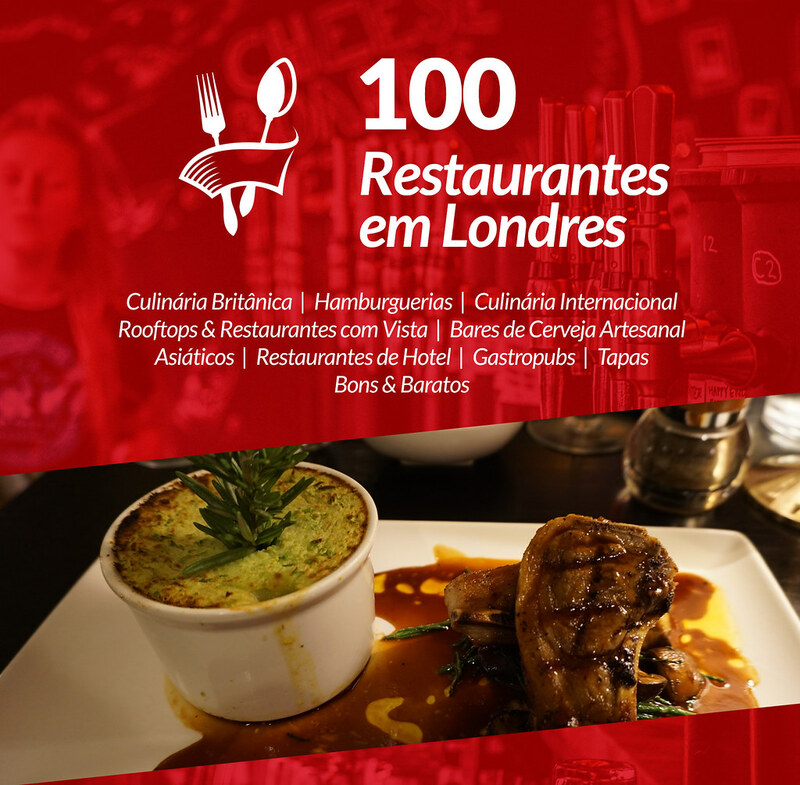 Click here to check the dates and make a booking! 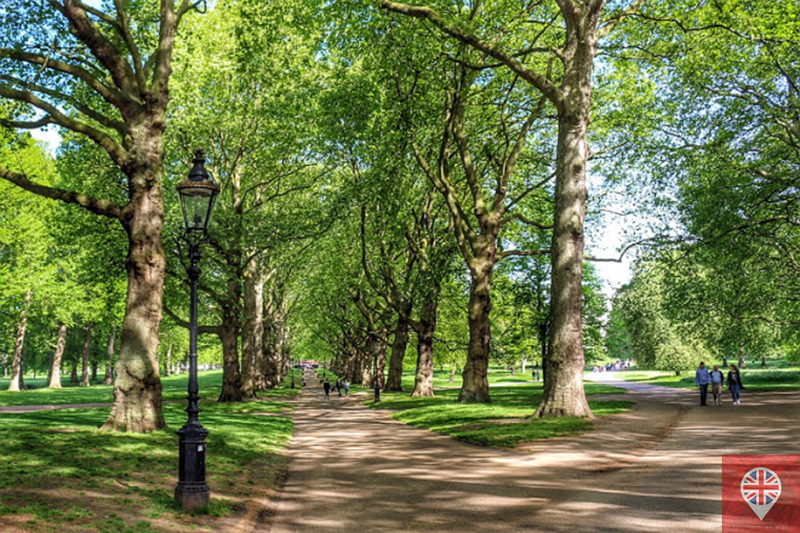 Cutting through Green Park, you reach the underground station with the same name. But if the weather is good, you can have a picnic in the park. We can make an itinerary specially for you, according to your tastes and desires.